The Director of The Equality Institute, Dr Emma Fulu, co-authored the article Integrating male sexual diversity into violence prevention efforts with men and boys: evidence from the Asia-Pacific Region which features in the latest issue of Culture, Health & Sexuality. 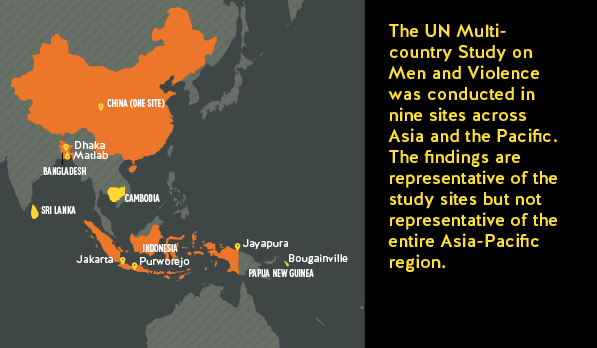 Data for the study came from the United Nations Multi-Country Study on Men and Violence in Asia and the Pacific, a survey conducted between 2010 and 2013 on masculinities and men’s use and experiences of violence. The study analysed data from Cambodia, China, Indonesia, Sri Lanka and Papua New Guinea-Bougainville to fill a gap in the literature on male sexuality and sexual minority health in the Asia-Pacific region – a topic rarely addressed within public health violence prevention discourse. The article analyses how diverse sexualities among men intersect with other social categories such as gender, predict the level of disparity in life trajectories and health outcomes, generate complex hierarchies of control, and drive violence among men and by men towards women. The article concludes that there is a need to integrate sexual minority experiences into global gender-based violence prevention programs and strategies and expand violence prevention efforts with boys and men to account for men’s sexual diversity, given its effect on violence prevention.